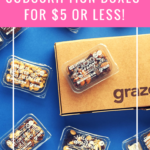 Check out the latest Gwynnie Bee on My Subscription Addiction! "Where's the superstars? 😂 I've tried everything in that kit, and nothing in there is for me."